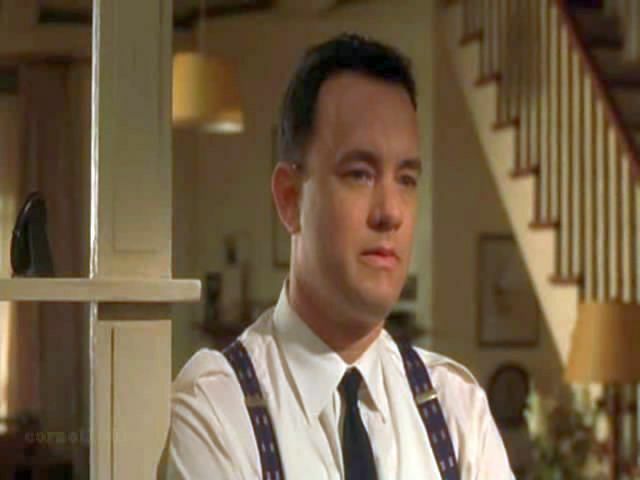 from 1999 movie with Tom Hanks as Paul Edgecomb and Bonnie Hunt as Jan.
Paul Edgecomb: We called ours the Green Mile, because the floor was the color of faded limes. I'm a hundred and five years old, Elaine. I was forty the year John Coffey walked the Green Mile. Paul Edgecomb: The music too loud? Jan: There's just this empty spot in the bed where my husband sleeps. Paul Edgecomb: He said to tell you he's having a little trouble with that tonight. Jan: Worried about Melinda and Hal? Is that what's got you up? Paul Edgecomb: Yeah, that and things. Paul Edgecomb: We got a new inmate today. Simple-minded fella. Jan: Do I wanna know what he did? Paul Edgecomb: No. Things that happen in this world. It's a wonder God allows it. Jan: Why don't you come to bed? I think I have something that'll help you sleep. You can have all you want. Paul Edgecomb: I still got something wrong with my waterworks. I don't wanna pass it on to you. Jan: Have you seen Doc Bishop yet? Paul Edgecomb: No. He'll want me to take sulfa tablets and I'll spend the week puking in my office. It will run its course by itself. Thank you very much for your concern. Jan: Hey, honey. How you feeling? Paul Edgecomb: Oh, not too bad. Jan: What did the doctor say? Paul Edgecomb: You know doctors. Gobbledygook, mostly. Jan: Gobbledygook. Having stew tonight. What are you doing? Paul Edgecomb: What does it feel like? Jan: Well, I know what it feels like. It feels great. Jan: Not that I'm complaining but we haven't gone four times in one night since we were 19. Paul Edgecomb: Yeah, we did, at your mom's. Jan: Wanna tell me what's going on? Paul Edgecomb: Well see, the thing is I never actually made it in to Dr. Bishop's yesterday.